Ralph L. Crowder is an Associate Professor at the University of California, Riverside. He received his Ph.D. in American history with an emphasis in African American History from the University of Kansas in 1994. Professor Crowder has authored a book and several articles on the contributions and struggle of self-trained black historians and intellectuals. 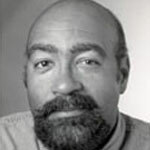 He is the author of John Edward Bruce: Politician, Journalist, and Self-Trained Historian of the African Diaspora (2004), Street Scholars and the Harlem Experience, 1890-1960 (2008); and African Americans and Cuba's Frirst Experiment in Tourism: The Joe Louis Commission in Post Revolutionary Havana, 1959-1960 (forthcoming 2009). Professor Crowder has led and coordinated student delegations, research tours, and field trips to Cuba, Brazil, and the American South. His civil rights field trips to Atlanta, Georgia, and Birmingham, Selma, and Montgomery, Alabama have been especially popular with students enrolled in his course in American Civil Rights History, 1950-1970. For the past eight years, he has been member of the North American Delegation, Conference of North American and Cuban Philosophers and Social Scientists, University of Havana, Havana, Cuba.